Welcome to Afanche Technologies | Afanche Technologies, Inc.
Afanche Technologies Inc. has released a variety of 3D viewers for the Mac. Our viewer products provide 3D visualization for many popular 3D formats including STL, Solidworks, 3DS, IGES, STEP, X-T/X-B(Parasolid), VRML, DAE (Collada), DXF (Autodesk), SKP (SketchUp), SpaceClaim, Blend (Blender), and many others. Our viewer products are great tools to visualize, measure, analyze, convert, modify, print and collaborate on a variety of 3D models. The price of our software is just a fraction of similar products offered by our competitors. Afanche Technologies Inc. has released a variety of 3D viewers for the PC. Our Viewer products provide 3D visualization for many popular 3D formats including: STL, Solidworks, 3DS, IGES, STEP, X-T/X-B(Parasolid), VRML, DAE (Collada), DXF (Autodesk), SpaceClaim, Blend (Blender), and many others. Our Viewer products are great tools to visualize, measure, analyze, convert, modify, print and collaborate on a variety of 3D models. The price of our software is just a fraction of similar products offered by our competitors. 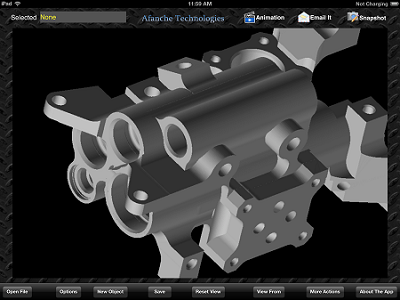 Afanche Technologies Inc. has released a variety of 3D file viewers for the iPad. 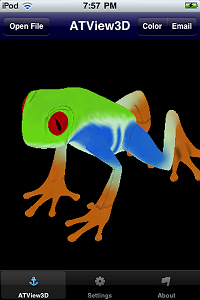 Our viewer products provide 3D visualization support for many popular 3D formats including STL, 3DS, IGES, STEP, X-T/X-B(Parasolid), VRML, DAE (Collada), DXF (Autodesk), SKP (SketchUp), Blend (Blender), and many others. Our viewer products are particularly designed for the iPad and touch screens. Our apps provide standard 3D features. 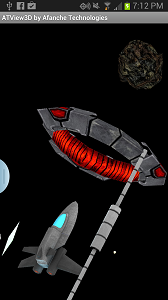 Our modern design makes it very easy to use (there is practically no learning curve) and the app is supoer fast. Afanche Technologies Inc. has released a variety of 3D model viewers for the iPhone. 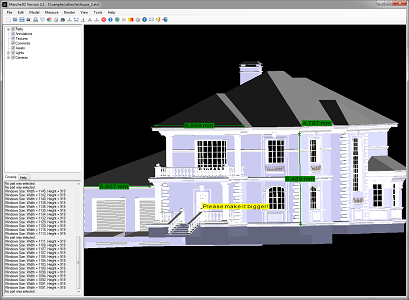 Our viewer products provide 3D visualization support for many popular 3D formats including STL, 3DS, IGES, STEP, X-T/X-B(Parasolid), VRML, DAE (Collada), DXF (Autodesk), SKP (SketchUp), Blend (Blender), SHP (ESRI), and many others. The apps are particularly designed for the iPhone and touch screens. Our apps provide standard 3D features including the ability to rotate a model with finger movements, zooming in/out, panning, changing coloring, changing light intensity, using touch enabled user interface controls. Our modern design makes it very easy to use (there is practically no learning curve) and the app is supoer fast. Our mobile viewer products allow you to work with your 3D modesl while on the go, meeting the needs of your mobile lifestyle. Afanche Technologies Inc. has released a variety of 3D data viewers for Android based phones and tablets. Our viewer products provide 3D visualization for many popular 3D formats including: STL, 3DS, IGES (.igs/.iges), STEP (.stp/.step), X-T/X-B(Parasolid), JT (JT-Open), VRML, DAE (Collada), DXF (Autodesk), SKP (SketchUp), Blend (Blender), and many others. Our viewer products are particularly designed for Android phones and tablets. Our apps provide standard 3D features including the ability to rotate a model with finger movements, zooming in/out, panning, changing coloring, changing light intensity, using touch enabled user interface controls. Our modern design makes it very easy to use (there is practically no learning curve) and the app is supoer fast. Our mobile viewer products allow you to work with your 3D modesl while on the go. Afanche Technologies, Inc. is the leading global provider of mobile 3D visualization software. We provide cutting edge 3D file viewers and 3D model builders on almost all popular platforms, including PC, Mac, iOS (iPhone/iPad), Android (Phone/Tablet) and Windows Phone. Afanche 3D viewer (ATView3D family) supports the most popular 3D formats including STL, Solidworks, IGES, STEP, JT, SKP (SketchUp), SCDOC (SpaceClaim), DXF, DAE, 3D HTML and many others. 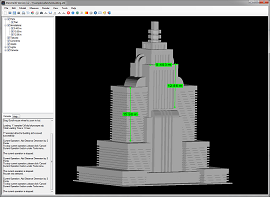 Afanche 3D tools are low cost, super easy to use and powerful. The products developed by Afanche are widely used by more than 100,000 users in the U.S. and worldwide. Afanche 3D products are available in all major stores, including Apple App Store, Google Play, Microsoft Windows Store and Amazon. For PC and Mac version, please purchase through our website. Afanche3D ST supports many popular 3D formats including STL, STEP, JT, 3MF, IGES, DXF, DWF, OBJ, PLY, SketchUp, IFC, 3DS, DAE and many others. It is a great tool for visualizing, measuring, analyzing and converting on a variety of 3D models.The price of the software is just a fraction of similar products offered by our competitors. Afanche3D CL supports more 3D formats compared to standard version. 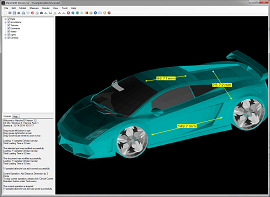 Besides all the 3D formats supported by standard version Afanche3D ST, it provides additional cloud based support for many CAD native formats including Unigraphics NX, Creo(ProE, Autodesk Inventor, CADKey, ACIS SAT/SAB, SolidEdge and Solidworks. Afanche also offers enterprise version Afanche3D which includes all features that Afanche3D Professional version offers. Additionally, Afanche3D Ent provides local support for native format of many expensive CAD systems including CATIA, NX, Creo, Inventor and many others. 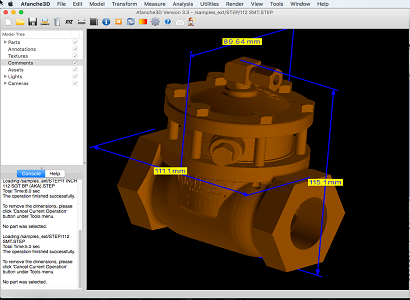 With help of Afanche3D Enterprise, you can reduce cost for your CAD purchase significantly. It costs $2000 per format. The training is a free, user-driven, interactive event that offers you the opportunity to meet Afanche3D experts, gain insight into the best practices and learn the new features of the software. Afanche Technologies Inc. welcomes new customers including Apple, NASA, John Deere, Olympus, Cisco, Boeing, BF Systemtechnik GmbH & Co (Germany), EIE Group (Italy), Samson Tech, M&W (Japan), Glam Smile (China), Isca DES (UK), Defer (France) and many others. We offer special version Afanche3D with support for 3D monitor, 3D mouse, HTC Vive, Oculus Rift, ZSpace, Intel RealSense, Google Tango, Microsoft Kinect and Hololens. Please contact us if you are interested. If the 3D format you need is missing from our supported format list, please contact us. We Will Add It.